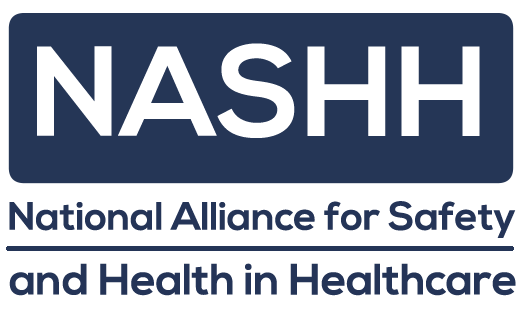 The National Alliance for Safety & Health in Healthcare (NASHH) was established in February 2016 to reduce and eliminate workplace injuries on the frontline of health and seniors care in Canada. Comprised of seven provincial senior care safety associations* representing nurses, care aides and other care providers, we support workplace safety best practices and fostering a culture of safety in healthcare with a common focus on long-term and home care. We represent healthcare employers with an annual budget of over $7 billion. 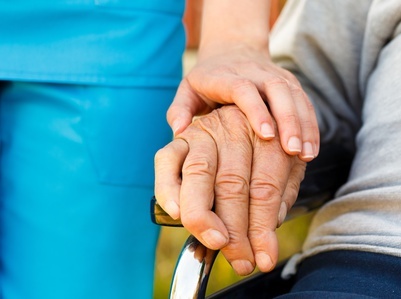 Canada’s growing long-term care sector has some of the highest workplace injury rates in the country – in some provinces, more than four-times the rate of other sectors. We are ready to collaborate with governments, health authorities and other stakeholders to address safety issues in hospitals, long-term care facilities and home care. *Read our Memorandum of Understanding here. * SK data includes costs on all claims (not just time-loss). ** MB data includes only selected long-term care facilities. *** the year-to-date number of equivalent full working days lost authorized for all claims regardless of accident date, having temporary benefits charged against a firm which are captured at the firm CU level and rolled up at any level within the class hierarchy for given calendar year. **** ONT data includes both time-loss and health care-only claims. ***** QC data includes long-term care facilities only. The Alberta Continuing Care Safety Association (CCSA) provides industry-specific health and safety training to the Alberta continuing care sector. By assisting members in implementing health and safety training programs, the CCSA aims to lower incidences of workplace injury, enabling employers to save on WCB premiums, reduce injury costs, increase efficiency, and improve the overall long-term well being of employees. The Saskatchewan Association for Safe Workplaces in Health (SASWH) is a non-profit association representing health services workers and employers. Established March 12, 2010, SASWH’s mission is to support and guide the health related industry in the elimination and prevention of workplace illness and injury. This is achieved through the effective application of the Provincial Healthcare Safety Management System. Established in 2013, SafeCare BC (SCBC) is an industry funded, non-profit society working to ensure injury free, safe working conditions for long term care (LTC) workers in BC. SafeCare strives to be the industry leader in advancing injury prevention and safety training for LTC workers. SCBC provides its members with cost effective training, educational services, and industry safety performance information as well as communicates government health and safety legislation and policies which impacts its members. The Public Services Health & Safety Association (PSHSA), provides training, consulting and resources to more than 10,000 organizations and over 1.6 million workers across Ontario’s education and culture, community and healthcare, municipal and provincial government and emergency services sectors to reduce workplace risks and prevent occupational injuries and illnesses. The New Brunswick Continuing Care Safety Association (NBCCSA) was established in 2014. Initial NBCCSA efforts have focused on reversing higher than average workplace injury trends in nursing homes through measures that include training, consultation and an innovative peer group pilot. AWARE-NS (Nova Scotia Health and Community Services Safety Association) was founded to reverse the trend of injuries and illness within the health and community service sector through leadership, stakeholder engagement, and effective OHS program training and development. AWARE-NS offers resources and information for Safe Resident Handling and Mobility (SRHM, SRHM for CCA Program Educators, Soteria Strains, and Workplace Violence Prevention. 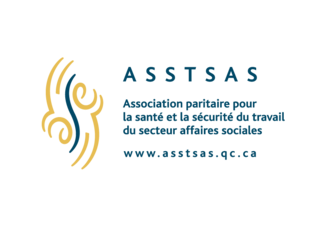 The Quebec Joint Health and Safety Association for the Healthcare Sector (ASSTSAS) is exclusively dedicated to the prevention of accidents and occupational diseases in the health and social services sector. Created in 1979 under the Health and Safety Act (OHS), it is a non-profit organization that provides information, training, technical assistance and research and development in occupational health and safety. - Project will support research initiatives to examine how governments and community and private sectors can better support seniors in their homes, communities and care facilities. - “The appointment of Filomena Tassi as Minister of Seniors is excellent news for seniors and their care providers." Video: More Nova Scotians are hurt caring for others than any other type of worker. - Behind every time-loss statistic and number is a person that was hurt at work, and a life that was thrown out of balance. Led by AWARE-NS, a team of dedicated stakeholders (including government, organized labour, employers) have been working together to build a stronger safety culture in these sectors. Because quality care depends on the safety of those providing it. - The Ontario Ministry of Labour has compiled a “top 10” list of violations of the Occupational Health and Safety Act, with violence and harassment taking the number 1 spot. - The National Day of Mourning, held annually in Canada on April 28, is dedicated to remembering those who have lost their lives, or suffered injury or illness on the job or due to a work-related tragedy. - SASWH provided an overview of the activities and accomplishments of 2017 and will continue to meet the needs of their membership for health and safety services. - SafeCare BC launched its "Stop. Look. Act. Violence Prevention Campaign" to share violence prevention resources to help you and your teams. - On January 26th, 2018, BC Care Providers Association, in association with the BC Ministry of Health, will hold the 2nd Annual BC Continuing Care Collaborative which focuses on the topic of health human resources. - Value Safety, Value You: Senior leaders, occupational health & safety professionals, and employees within the healthcare industry - don't miss this opportunity to attend an exciting industry event on March 22, 2018, in Regina, Saskatchewan. - SafeCare BC's safe handling resources are helping prevent the leading type of injury for long-term and home care workers. - Who's Taking Care of You? Tell us how you take care of yourself, or how your work team takes care of one another. - PSHSA’s AGM will be taking place September 21 from 9:00am – 11:00am at the Holiday Inn Toronto - Yorkdale. - The Government of Alberta is launching a review of the province’s occupational health and safety system to improve workplace safety and better protect Albertans. - The injury rate for long-term care workers in BC shows a very promising downward trend. - Listen to Jennifer Lyle, executive director of SafeCare BC, speak with CFAX 1070 about workplace health and safety for continuing care workers. - Vancouver Sun op-ed by NASHH member SafeCare B.C. - NASHH member Saskatchewan Association of Safe Workplaces in Health (SASWH) and the Saskatchewan Workers’ Compensation Board announced a province-wide initiative to address it. - Day of Mourning for those that lost their life or were injured on the job. - Op-ed published in the Regina Leader Post. - NASHH's op-ed calling for a national staffing strategy for seniors' care.